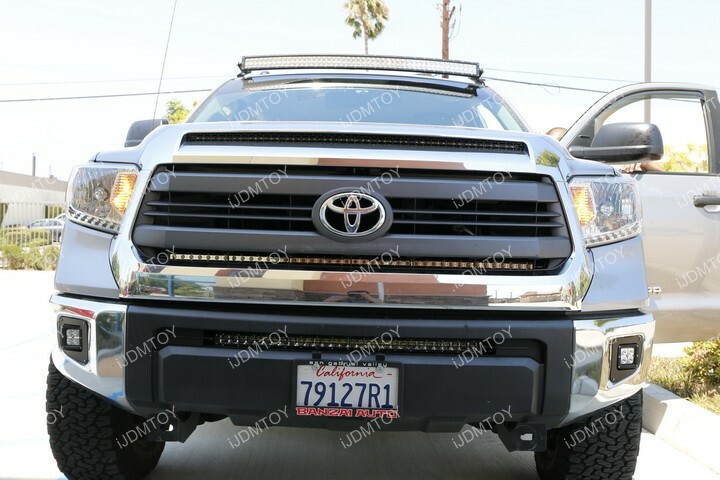 Check out the Toyota Tundra LED Light Bar System (35-922). 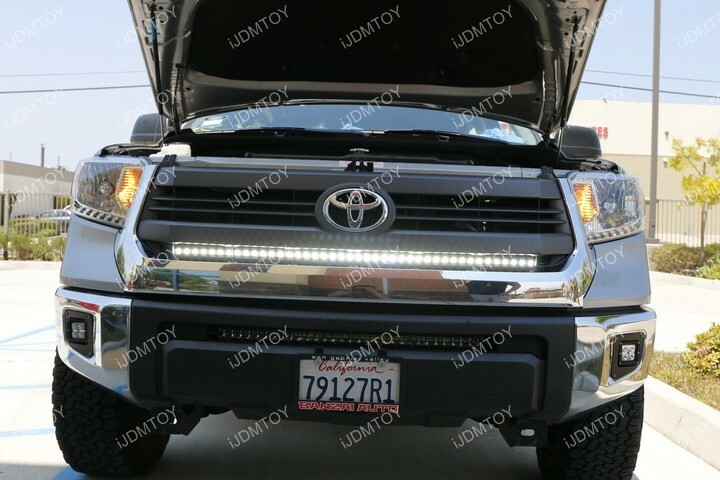 Owners of the Toyota Tundra know that there's plenty of options to mount an LED light bar system onto the truck. This installation guide shows you how to mount the LED light bar behind the grille, and under the emblem for a modern, yet rugged look. 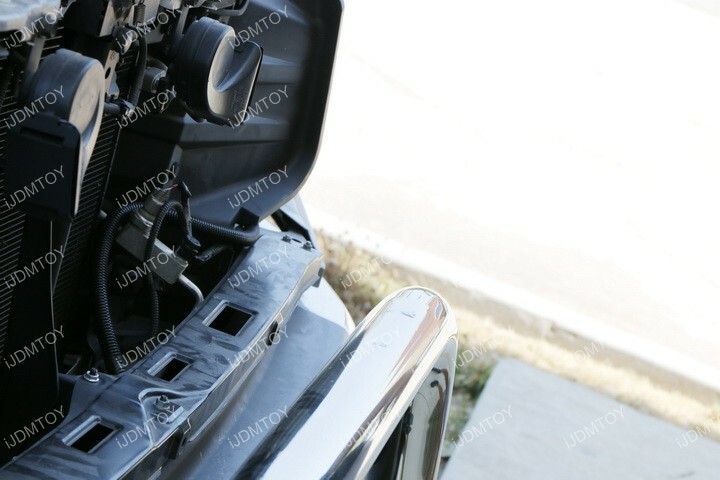 Step 1: Remove the front grille. 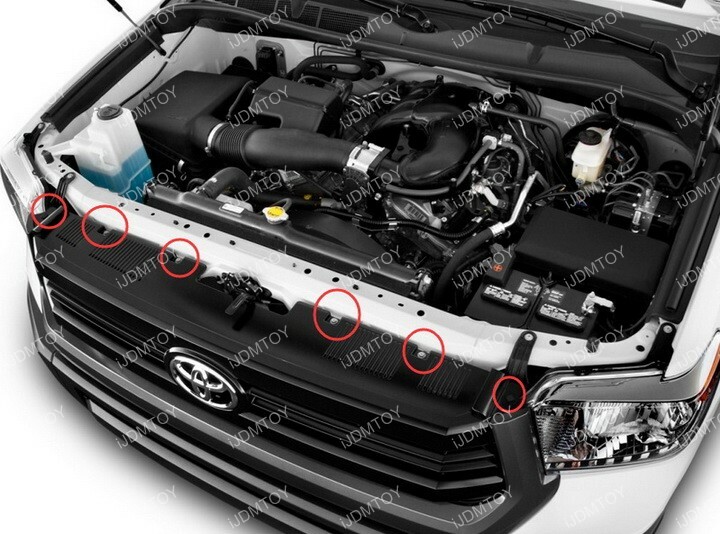 Take note of all the bolts circled in red. 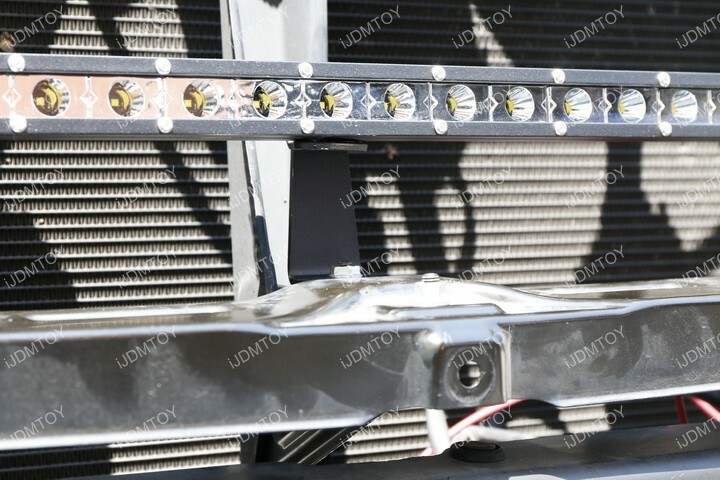 You'll need to remove all these bolts before you can remove the front grille. 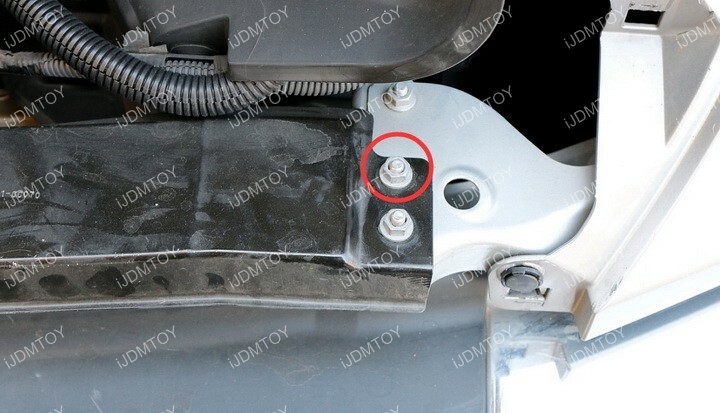 Step 2: Locate the bolt that is circled in red. 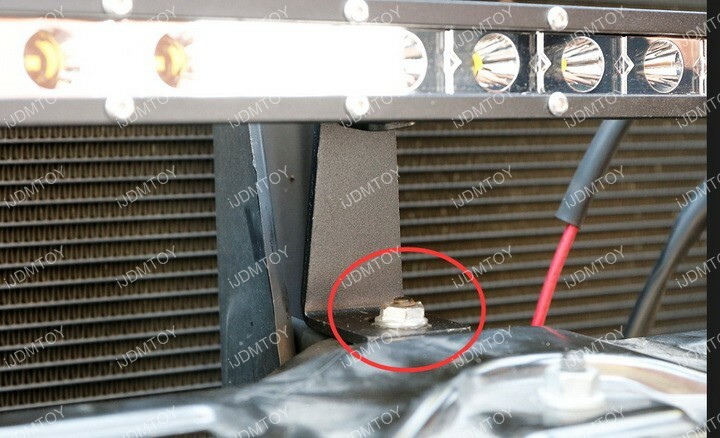 There's two bolts like this on either side of the grille that need to be removed. 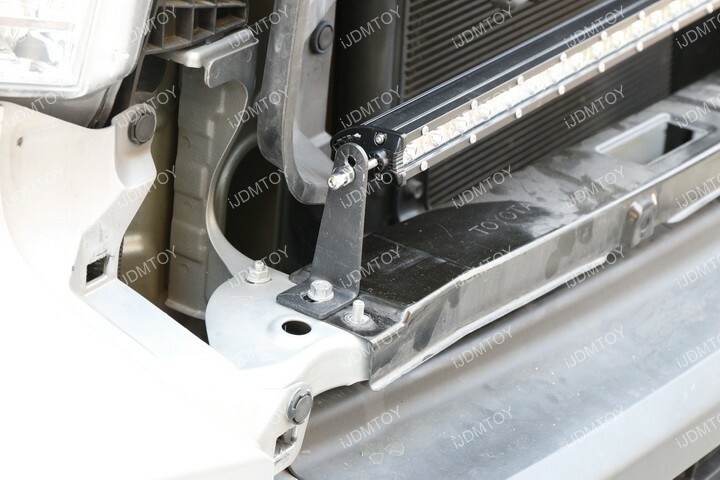 Step 3: Insert the brackets on both sides of the grille and securely bolt them in place. 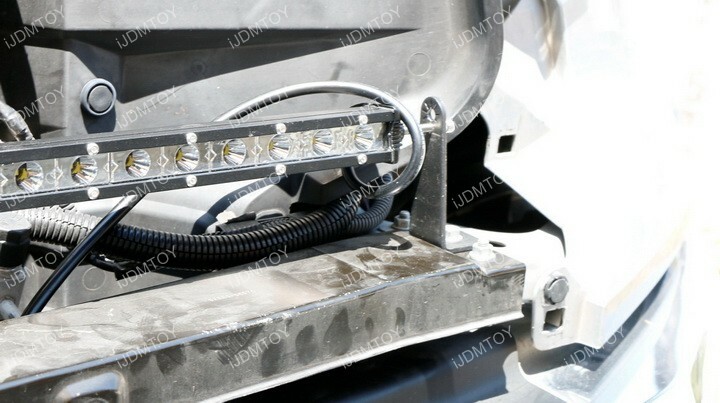 Step 4: Insert the LED light bar through the brackets and position the bar on the bottom hole. Secure the LED light on both sides. 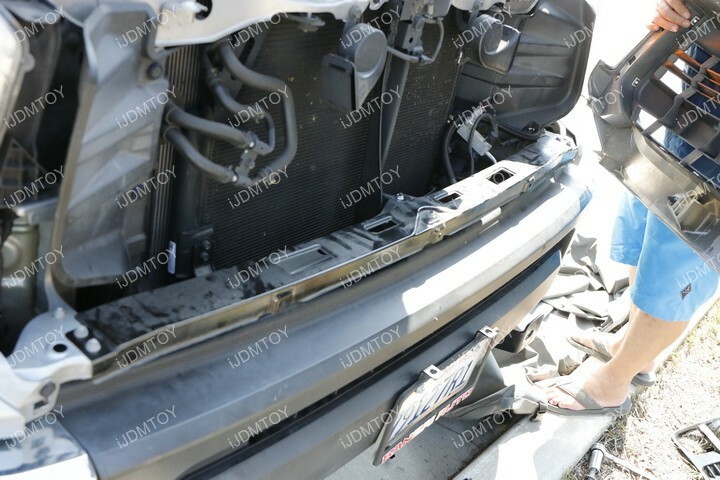 Make sure that there is a bolt on either side of the bracket to make sure that the LED light bar is secured and will not move. Step 5: Now you'll need to make a support bracket for the center of the LED light bar. 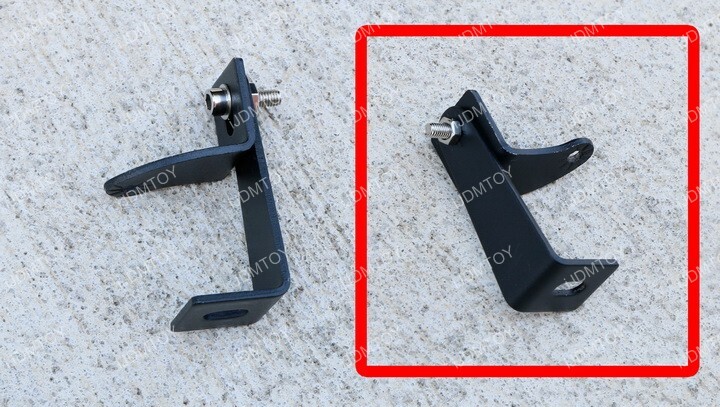 Grab the longer L-shaped bracket and the smaller L-shaped bracket and secure them both together with a screw and washer. 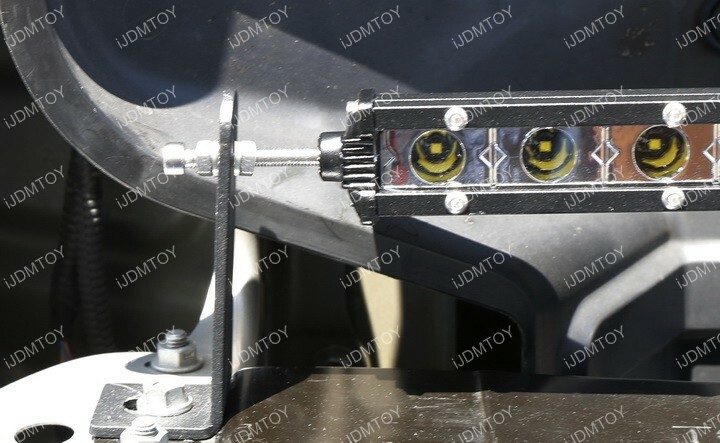 Step 6: Insert the support bracket in the center of the LED light bar and bolt down the bracket to the truck's frame. 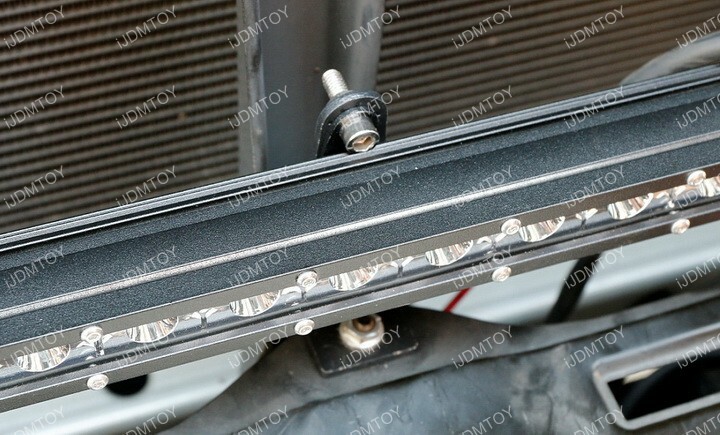 This prevents the LED light bar from flexing due to its longer length.